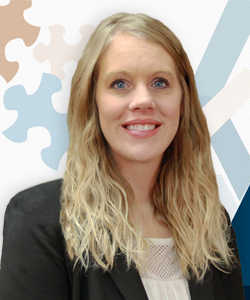 Ashley Sieling has over 10 years of experience in the healthcare industry. As a Consultant for Medical Management Services, Ashley partners with providers to grow their professional practices and oversees practice daily operations. Ashley’s background in medical office billing, revenue cycle management, and claim adjudication enhances physician reimbursement through communications with insurance companies, collections, and cash posting. Ashley’s began her career in the front office, tracking the patient experience from registration to account balance resolution. Additionally, she coordinated all Worker’s Compensation claims for a private physician practice, increasing their bottom line through contract negotiations and cost containment. Today, Ashley utilizes past experience to impact physician productivity while implementing sustainable models that facilitate growth and performance improvement into their respective practices. Ashley is an active member of Medical Group Management Association (MGMA) and is an American College of Medical Practice Executives (ACMPE) nominee.